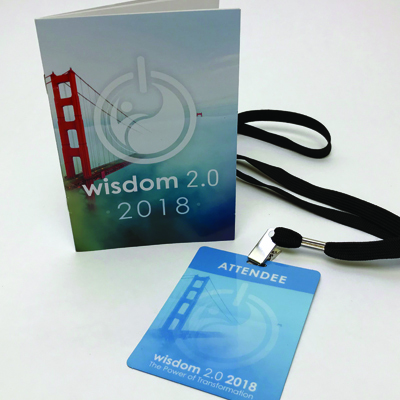 We went to San Francisco in search of wisdom - actually, we went for the Wisdom 2.0 Conference, which according to their site is the premiere gathering focused on exploring the intersection of wisdom and technology. We knew little about the organization, but our interest was piqued by its mission and the impressive line-up of keynote speakers renowned in the field of mindfulness such as Jon Kabat-Zinn, Sharon Salzberg, and Jack Kornfield along with Tristan Harris (called "the closest thing Silicon Valley has to a conscience") and #MeToo founder Tarana Burke. It also included a variety of breakout sessions and experiential rooms to explore the question: how do we live with greater presence, purpose, and wisdom in the digital age? Delightful surprises included getting to see Lynne Twist speak about the "Lie of Scarcity" because her calm energy combined with a powerful message created a dynamic session. Tristan Harris, founder of the Center for Humane Technology, and Marie Kondo, creator of the KonMari method of decluttering, inspired me to take action and change a few habits. The most moving moment came when Tarana Burke spoke of the responsibility that she feels toward the movement of helping women heal. As the conversation became emotional for her, the audience responded with a standing ovation of support. 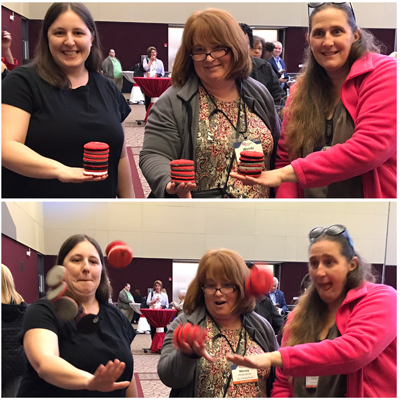 We're still processing lessons from the event, but one of my immediate takeaways actually comes from how we differed from many of the speakers. Most of them based their work in mindfulness meditation which is a valuable practice, but often seems out of reach for many people. 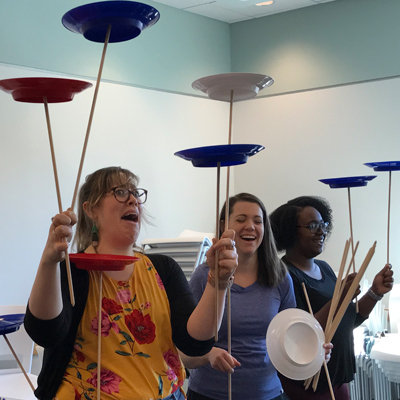 In the work we do, we get to bring many of the same ideas to the teams we work with but with a lightness and playfulness that make mindfulness more accessible.